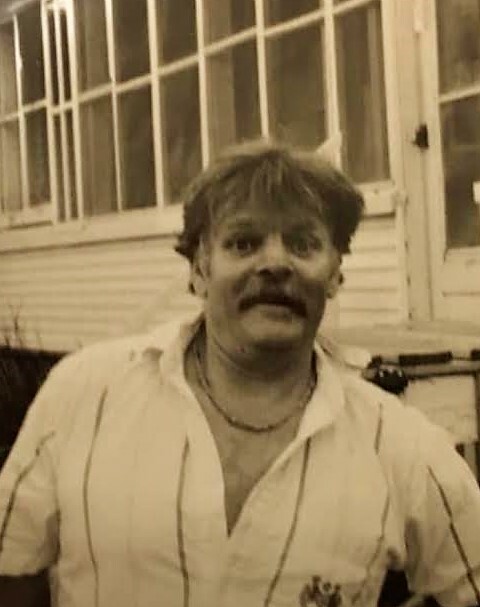 Arthur Francis “Native Son” Torrance, 69, passed away unexpectedly Wednesday, April 10, 2019 in Canonsburg, Pennsylvania. Born on July 6, 1949 in Lake Placid, he was the son of Loren and Dorice (Wescott) Torrance. Arti was educated in local schools (of which he was too cool for) and lived in and out of Lake Placid his entire life. Arti was a lover of Jeopardy (which he used to love to watch with his mom), vanilla ice cream cones, The Miracle on Ice, The Rolling Stones and his quest to become their lead singer, storytelling, making new and lasting friendships, ensuring his legacy lived on through his artwork, among many other things. Before the 1980 Olympics, Arti painted a mural of the MacIntyre Range that encompassed most of the back wall of the 1932 Olympic ice rink. You can also find “Artis” painted on different buildings all over town that made up the sports disciplines of the 1980 Winter Olympics. One of Arti’s favorite drawings was his Mick Jagger. He carted that drawing to Rolling Stones concerts attempting to get Mick to sign it. He lost it once, but managed to get it back. In the end, he was successful and this satisfied him until he was onto his next quest. Recently, his eyes would light up if he found someone who hadn’t yet heard the story about his autographed Bruce Springsteen painting and his Clarence Clemons painting that he’d given to Bruce as a gift. Arti also loved to refurbish furniture and he did quite a bit of carpentry in Lake Placid, surrounding areas, and beyond. Most recently, he was helping a longtime friend with a renovation in Canonsburg, Pennsylvania. He is survived by his son Tyler (Gillian) Torrance of Perkasie, Pennsylvania; and his daughter Lauren “The Peach” Torrance-D’Angelo of Pittsburgh, Pennsylvania; his sisters Alta (Art) Dostal of Easthampton, Massachusetts and Carol (Doug) Hoffman of Lake Placid; and many nieces, nephews, aunts, uncles, cousins, and friends that became like family. Arti is preceded in death by his parents; his brothers, Ward Wilbur and Loren Torrance; and his grandparents, Guy and Alta Wescott and Walter and Marie Torrance. Services for Arti will be noon on Friday, April 26, at the M.B. Clark Funeral Home in Lake Placid with the Rev Derek Hansen of the Adirondack Community Church officiating. Burial to follow in the North Elba Cemetery. The M. B. Clark Inc., Funeral Home in Lake Placid is in charge of the arrangements. In lieu of flowers, the family asks that a donation be made in Arti’s name to the Adirondack Council, a not for profit organization for the preservation of water, air and wildlands. A donation may be made at www.adirondackcouncil.org.